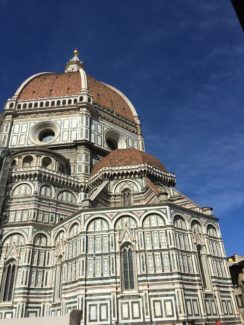 My first week of studying abroad in Florence back in September was a complete blur between meeting new people, going on tours of the city, school orientations, trying to recover from jet lag, finding decent places to eat and things to do in Florence in September and October and some studying abroad Florence Italy tips. After about two months, countless day trips, and some big weekend trips to other countries, I think I’m finally getting a hang of the whole ~college student explores Europe on a very tight budget while still technically enrolled in school~ thing. Here’s my advice on travel if you’re feeling overwhelmed. Or, if you don’t want to travel out of Italy much, there are plenty of non-touristy, inexpensive, and free things to do in Florence! There are a number of travel companies for students that study abroad in Florence that constantly advertise their trips. If you haven’t done much traveling alone or with friends before, my recommendation is to go on one or two trips with them at the beginning to get a feel for traveling. 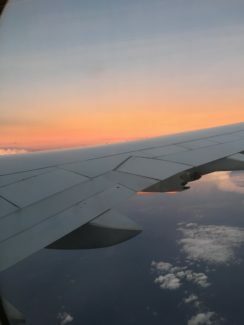 I had little solo travel experience at the beginning, so being on trips where there were people to help was reassuring. I did two trips: One was to Croatia, and the other to Prague & a day of Oktoberfest. The trips are also great if you want to see a lot in a short amount of time, because they often pack a lot into the itinerary. This was a great way to meet new people, see new places, and have a generally stress-free experience since everything is taken care of by them. 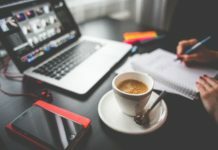 They are ultimately more expensive than it would be to plan on your own (if you’re smart about planning), which is annoying. But, a lot of things often come included with the trips, such as transportation, accommodation, ticket admissions, a few meals, guided tours, and some activities. 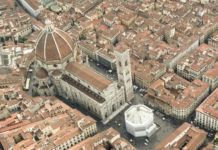 If you’re studying abroad in Florence, look into flights from other nearby cities. The Florence airport is tiny, so most flights are usually really expensive from there. 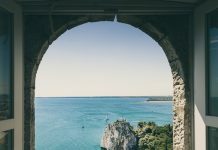 I’ve found super cheap flights from Rome and Milan, so far. Like, I’m talking a 36 euro flight to Greece for fall break. 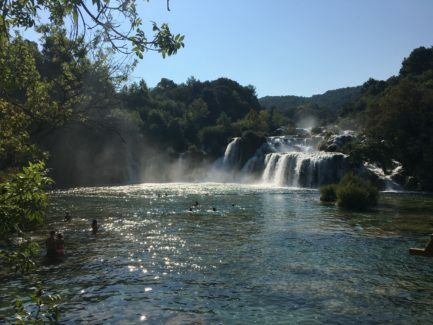 Granted, it was at 9 am from Rome and with a budget airline… But, it was ultimately worth it for a student on a tight budget with no current income. The total travel expenses for that trip came out to almost half of what it would have been for Florence Travel. The only thing is that taking a train to the other city may be time-consuming and the trains can get expensive at certain times. So, make sure you factor in travel time and extra travel expenses and use your best judgment on what will be the most cost-effective and least stressful way to travel from Rome to Florence! 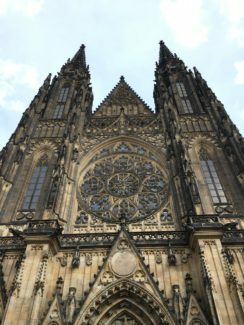 One last tip here– If you are flying out of a different city, try to plan the timing of flights and trains so that you have time to explore the city you fly into. If you have the time, stay an extra night there. This way, you get to see another city without having to pay extra for a round-trip train there on another day before you travel to Florence Italy on the way back. Flights are often the quickest and easiest way to get around. But, there is always the chance there will be long delays or even cancellations. I experienced this recently on a flight from London to Florence– the flight ended up being cancelled an hour before take off, and they stuck me on a flight to Rome for the next morning. Sometimes, you can’t avoid flying somewhere, such as to London. But, for closer destinations like neighboring countries such as France, Germany, Switzerland, or Austria, an overnight bus or train could be a great option. Also, look into buses instead of trains for closer destinations. For example, I needed to get to Florence from Rome. Trains at the time I needed were 50 euros. Although the train is usually quicker, I found a bus for only 9 euros that was only three hours instead of one and a half hours on the train. If you don’t mind a little longer travel time, this was a great way to save 40 euros and still get home relatively quickly. 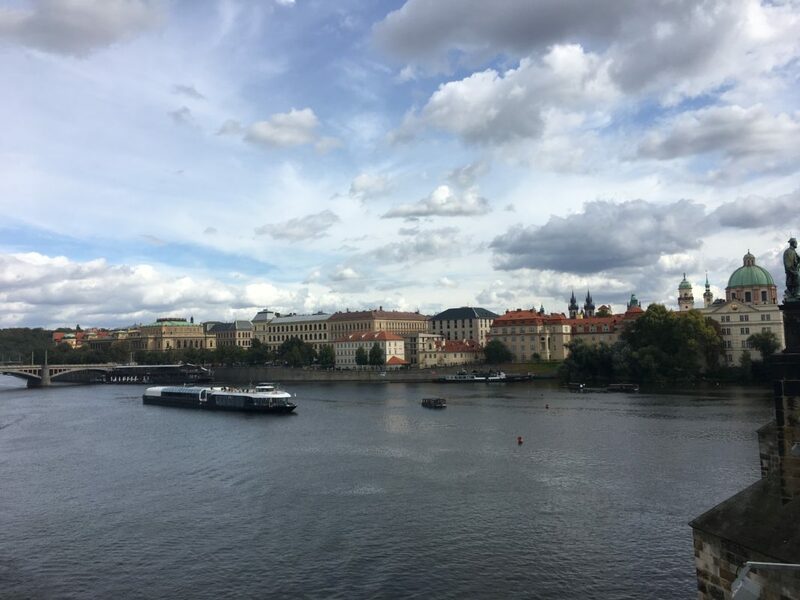 At first, I was against the idea of hostels– My mind was full of sketchy stories and ideas that ultimately ended with bed bugs, stolen items, and abduction. Some can actually be pretty nice and surprisingly clean. Even if it doesn’t turn out how you’re hoping, you’ll probably only be in the room to sleep if you’re out exploring all day. Also, many have rooms that are strictly for women, which is always a plus if you’re feeling nervous about sleeping in a room full of strangers like I was. On the trip to Split, Croatia, we stayed in a hostel called En Route Hostel. This is the nicest one I’ve been to– they had lockers to lock your things in when you leave, and the beds had curtains you could close. It was all super clean and they offered free city tours and breakfast. All of the hostels I’ve stayed in have been less than 30 euros per night which is a really great way to save some money instead of playing a lot more for a hotel. Although it’s tempting to jet off to a new country every weekend, take the time to explore Florence more, in addition to nearby cities in Italy. I wish I had done more weekend trips around southern Italy instead of going to some other countries. Everyone gets so wrapped up in checking countries off of their bucket list while studying abroad in Florence, and they forget about the country they’re living in. Day trips are super easy to do, especially from Florence and the Florence Travel Guide is always great to look into. Pisa, Verona, Bologna, and Siena are all smaller, but still beautiful towns with amazing history, views, food, and art to take a quick day trip to. If you leave early, pack a ton into the day, and return in the evening, it will be well worth it. The trains are super convenient for getting around, and if you go at the right times, the tickets can be reasonably priced. You could probably do an overnight trip to the bigger cities, such as Rome, Milan, and Venice. But, if you’re feeling ambitious, you can make a very long day trip out of them too. 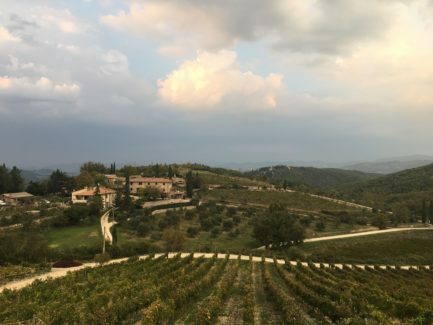 Instead of taking a weekend trip to another country, maybe think about doing a longer weekend trip to somewhere in Italy– maybe the Amalfi Coast, Sicily, Pompeii, or Naples? I’m going to Sicily on a school trip this coming weekend, and I have to say, it’s one of the places I was most excited to see! Lastly, take time to explore the city you’re studying in. Studying abroad in Florence offers instant access to the heart of Renaissance Art. Take time to learn about the place you’re living in for a whole semester. 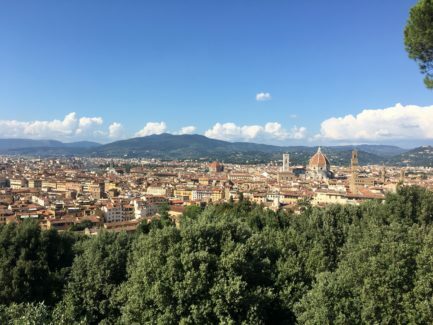 There are plenty of non-touristy, inexpensive, and free things to do in Florence for a Florence Italy study abroad student. One of my favorite (and free!) things to do in Florence is to go to the Giardino delle Rose right across the Arno River. There’s beautiful view of the city, and it’s a great place to sit, read study, or talk with friends. Explore Florence and find your own hidden gems. There are so many things to do in Florence as a student that you might not even want to leave every weekend!